The Bard plucked at his lute, playing notes that conjured an eerie foreboding from its strings. Delighted that the tale teller’s break was at an end, the tavern’s denizens gave him their rapt attention as music filled the air. The tumultuous trip downriver had been quite a ride, so Marin allowed himself some time to cough up a few buckets of water and catch his breath. He assessed the damage (wounded pride, some bumps and bruises), then got his bearings. The river had deposited him on the edge of a cavern blooming with huge, glowing blue and purple mushrooms, and the air was thick with the rich, slightly acrid scent of them. 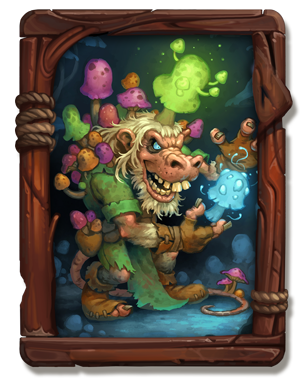 He’d heard of such places—groves of glowing fungi with strange properties scattered throughout the catacombs—but he hadn’t had much occasion to explore them. 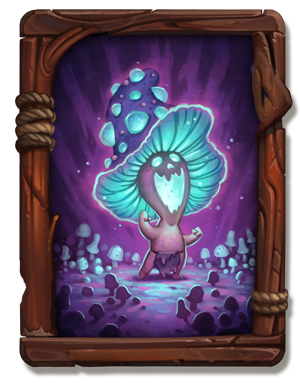 The feared Fungal Lord Ixlid was rumored to frequent such places, which Marin felt was an excellent reason to avoid them. As he crept among the oversized fungi, one of the mushrooms uprooted itself and toddled in Marin’s direction. It was almost cute, but Marin hadn’t remained in one piece all these years by trusting appearances. He kept his distance and tried to shoo it away. “Surely you have better things to do? Vital mushroom business, perhaps? Over in that direction?” Marin said, hoping to dissuade the odd, squat creature’s approach. The mushroom creature looked up at him as he spoke, and tipped its head to the side quizzically. It paused for a heartbeat, then it let loose a deafening, skull-piercing, shriek. The sound hit Marin like a physical force, and he stumbled away from it, wincing and clutching his ears. Such a cacophony was sure to summon unwanted attention! Plugging his ears, Marin fled from the noise into a nearby tunnel, pursued by its shrill echoes. As he put more distance between himself and the creature, the noise finally faded. Eventually, whole minutes passed in blessed silence. Marin allowed himself to breathe, thinking that perhaps he’d gotten lucky, and that the abominable shrieking somehow hadn’t attracted any passersby after all. “Avast, ye tunnel lubber!” came a call from the tunnel behind him. 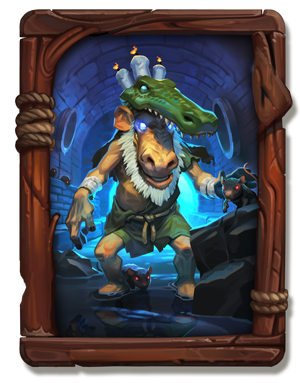 Whenever Marin entered the catacombs, he expected to be surprised. Even so, the place still managed to catch him off guard from time to time. A kobold swaggered down the corridor toward him, waving a cutlass and dressed head to toe in the regalia of a ship’s captain. One of his hands had been replaced with the head of a mining pick. His captain’s hat bore a candelabra’s worth of lit candles, and more were woven into his whiskery beard, wicks burning. Marin didn’t understand it. For some reason, strangers mistook him for a pirate all the time, despite the fact that he’d never set foot on a boat larger than a canoe in his entire life. Still, there could be an advantage in playing along. 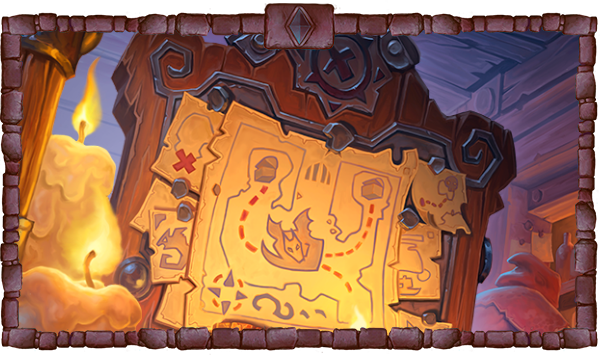 The kobold would surely know the area, and Marin might get an opportunity to “replace” some of the useful tools he’d lost to the river. 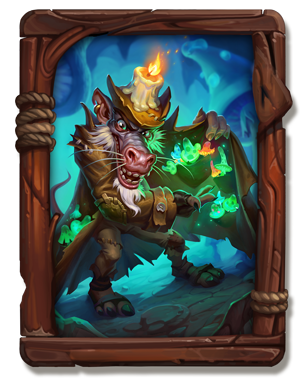 Candlebeard gestured expansively with his pick-hand to the ragtag assortment of outlandishly-dressed kobolds that filed up behind him. None of them looked the least bit like a pirate, but that didn’t seem to bother Candlebeard. The crew of “pirates” marched their way from fungal forest through a procession of corridors, the natural stone tunnels they traveled eventually giving way to timber-supported mine shafts. 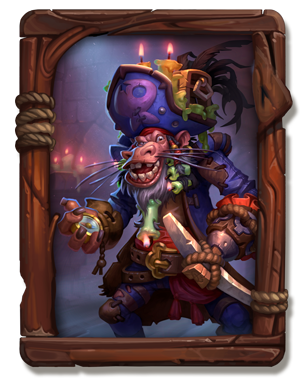 Candlebeard happily spouted nautical nonsense at Marin all the while, and it was obvious that Candlebeard knew even less about real piracy than Marin did, which left Marin wondering how the kobold had adopted the pirate persona to begin with. The answer soon became clear. They emerged into a mined-out cavern—it was like a hub, with several smaller tunnels gaping in its walls. The space was dominated by the imposing bulk of a derelict pirate ship, resting at an angle against the cavern wall. Clusters of burning candles cast flickering light from its railings and masts, and the windows of the captain’s quarters glowed fitfully from within. 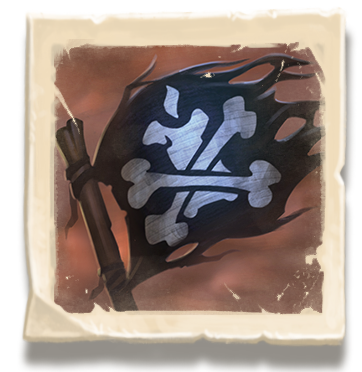 Its ghostly tattered sails and a moth eaten black flag (painted with a candle and crossed bones, naturally) stirred in a steady draft. Marin couldn’t begin to guess how the ship had become interred here, deep underground and miles from the ocean. Candlebeard led them aboard and into the captain’s quarters. Very little of its former grandeur remained and there wasn’t much furniture: a captain’s table with a throne-like captain’s chair, and a weathered treasure chest. A map pinned to the wall caught Marin’s eye. 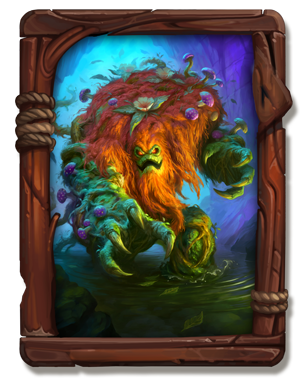 There was a large dragon drawn on it, and Marin had seen a similar map before. He suspected that it charted a path to the lair of Vustrasz the Ancient, the most powerful and cantankerous dragon in the catacombs, famed for both his temper and his treasure hoard. Candlebeard thrust his cutlass at the image of the dragon in the center of the map. “Alas, poor Marin, always going from the cauldron straight into the flame.” The Bard lamented. “And when it comes to Vustrasz the Ancient, I mean flame quite literally. But don’t you worry, Marin is a sharp one, and we’ll soon find out how he handles Captain Candlebeard!” The patrons cheered, thumping their tankards on tables and stomping the floorboards.